Live, Love, Laugh and RENOVATE! : Christmas Comes EARLY for the Guerin's!!! With a little one on the way and baby items starting to slowly take over our house we realized we needed to maximize on storage with all of the furniture in our house!!! I knew that our old Ikea Lack Coffee Table just wasn't going to cut it. It had treated us well but was flimsy and wouldn't hide any of the baby mess when we had company over! I'm a strong believer in finding a place for everything so its easier to clean up!! My original idea was to actually use the same coffee table BUT to take off the bottom shelf and buy some baskets to put underneath for storing toys. I was VERY excited about this option until I realized that finding 3 or 4 baskets that would fit just perfectly was basically impossible. I had mentioned my dilemma to my mom and while at work one day she called me from Almira's furniture store in Markham. 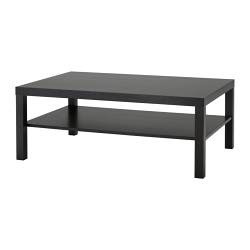 She asked me if I would like a new gorgeous storage coffee table for my birthday/me and Ryan's Christmas present. I instantly said YES!!! It has 2 large drawers with ample room for kids toys/books etc. Plus it fits in PERFECTLY with our credenza in the living room! Now we have all the storage we can squeeze into our little tiny house!!! Doesn't it look fabulous! It looks like it was made to go with our credenza!!! I love it!!! Ryan and I have actually had to change a few of our habits... we tend to eat dinner in the living room and watch TV. With the old coffee table we had no problem throwing plates on the coffee table and scratching it up because it was from Ikea!! But with this beauty we actually have place mats that we bring out for meals to protect the surface of the table!!! And coasters are a MUST now!!! Ryan laughs because I was horrible about using them before.. but now I'm the coaster Nazi!!! haahaa!! !